When it comes to eating healthy, it’s not just about the foods you eat; it’s also about how you prepare them. There are many kitchen gadgets out there that make whipping up delicious, nutritious meals a lot easier, and some can even help you cut back on excess fat and calories. Take advantage of these four kitchen gadgets for healthy cooking from retired-chef Hussain al Nowais. 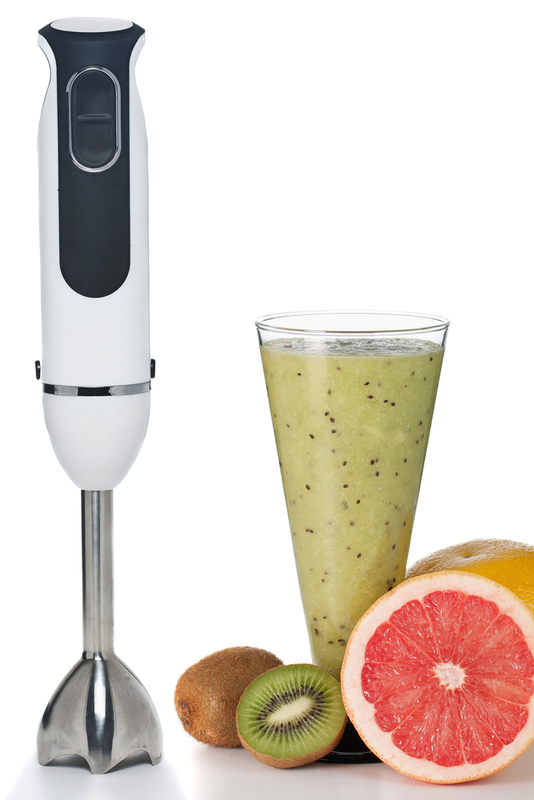 Immersion Blender – Handheld immersion blenders are great tools for blending ingredients and pureeing food directly in the container. They are perfect for making fruit smoothies, soups and dips. Their slim and functional design lets you easily mix ingredients in pots, cups or bowls. Kitchen Scales and Measuring Cups – Kitchen scales and measuring cups can help you better control your portions and make sure you are not eating more than the recommended amount. A great product for portion control is the Tanita KD-400 compact scale, which measures food in pounds, ounces and grams. For measuring cups, choose a complete set that includes all the major measuring options. Oil Mister – While olive oil is considered a healthy oil, using too much can result in extra calories and fat. Many stovetop recipes call for olive oil, and many people are pouring too much oil in the pan. An oil mister can be filled with any oil you need, and one spritz will cover the whole pan in a single teaspoon of oil, helping you cut excess calories. Portable Food Prep Area – After cooking raw meat, wiping down the counters may not always remove all the germs. A portable food preparation area, such as the WonderTop, makes prepping your favorite meals easy and sanitary. You can use it to cut and season raw meats and then throw it in the dishwasher once you’re done. Make preparing healthy meals that much easier with these great kitchen gadgets! Which kitchen gadgets do you like most?